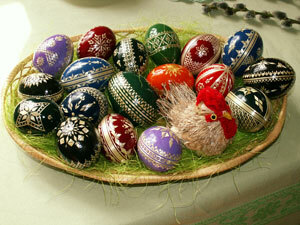 Orthodox Easter Monday in Romania is celebrated the day after Easter Sunday. The eastern church uses the Julian calendar for many of its holidays and this is why Easter Monday in Romania is different from Easter Monday in the Western Church nations. People will spend the day relaxing with family and friends and some will take the weekend as a travel weekend. The eastern Christian Church bases many of its holidays off the Julian calendar which puts Easter Monday in the eastern church different from the western church using the Gregorian calendar.